When Celia (a repressed housewife with a tempestuously-romantic inner life), and husband Fred reached their 30th Wedding Anniversary and found they’d bought each other the same shower cap, Celia re-evaluated her life. Is there more to life than making a scale model of the Trans-Siberian Express? + special guests and an interpretive dance about socks. 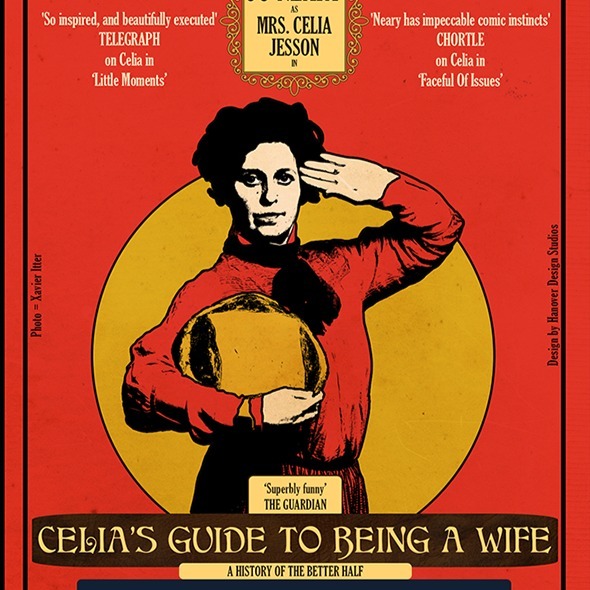 In 2016 Celia’s debut show received a Best Show Nomination for Dave’s Leicester Comedy Festival.